Q: When I try to print with PDF Studio, I get a message “no print service found”. It is working fine in other apps and only happen in PDF Studio. How can I solve this issue? 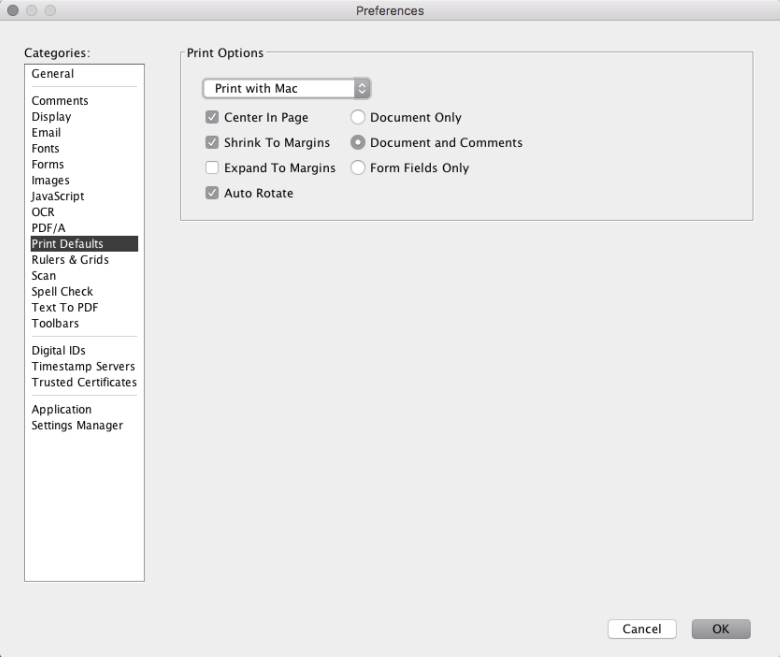 If it still does not work, change the print defaults to revert to print with the default MAC printing dialog. Go to Preferences, select Print Defaults tab. Click on the drop down and select Print with MAC and click OK.
Next time you click on the print, the default Mac printing dialog should show.